DETROIT — A day after he was awarded a house during Mitch Albom’s S.A.Y. Detroit Radiothon, retired U.S. Army veteran Leo Cooke was overwhelmed with emotion when he stepped into his new home Friday for the first time. 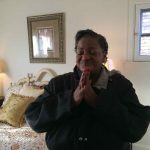 Formerly homeless and living in a shelter, Cooke, 64, received the house as part of S.A.Y. Detroit’s Working Homes/Working Families initiative with the Detroit Rescue Mission Ministries. 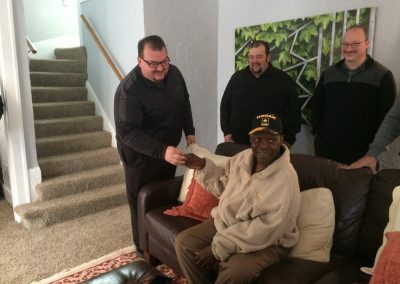 The house — located in the Morningside neighborhood on Detroit’s east side — was renovated with a grant from The Home Depot Foundation in line with its mission to support our nation’s veterans. 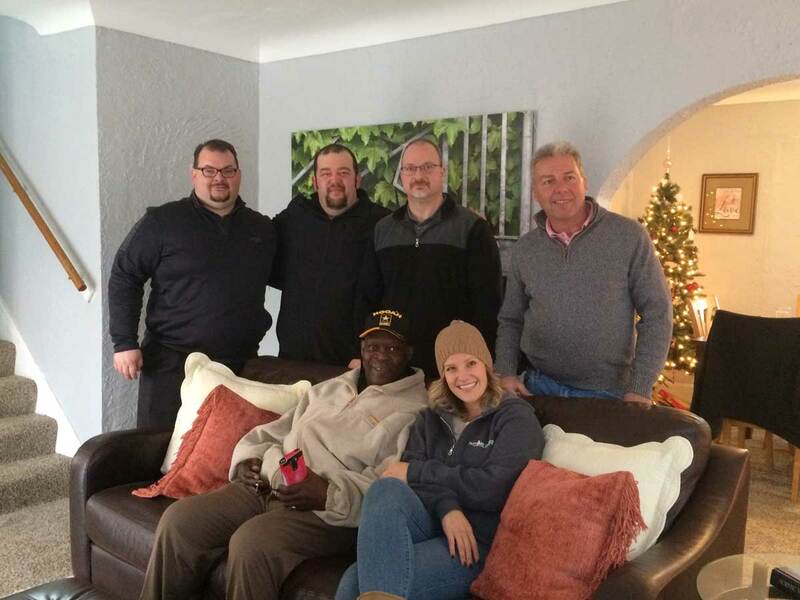 The renovation was spearheaded by a team of Home Depot managers and employees from the Midwest Region, including Paul Kassab, John Smith, Tom Gibbons, Todd Clarey and Willie Sinz. 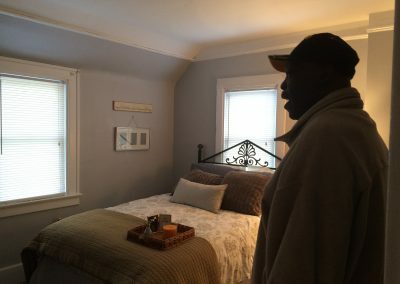 After the six-week project was completed, the home was furnished and decorated by Humble Design, a nonprofit that helps families transition out of homeless shelters by providing furnishings and design services. During Friday’s reveal, Humble Design designer Lauren Hawkins took Cooke on a tour of his home, leading him past a family Christmas tree and upstairs to view two bedrooms for his daughters. When he opened the door to see his own bedroom, Cooke began to cry. 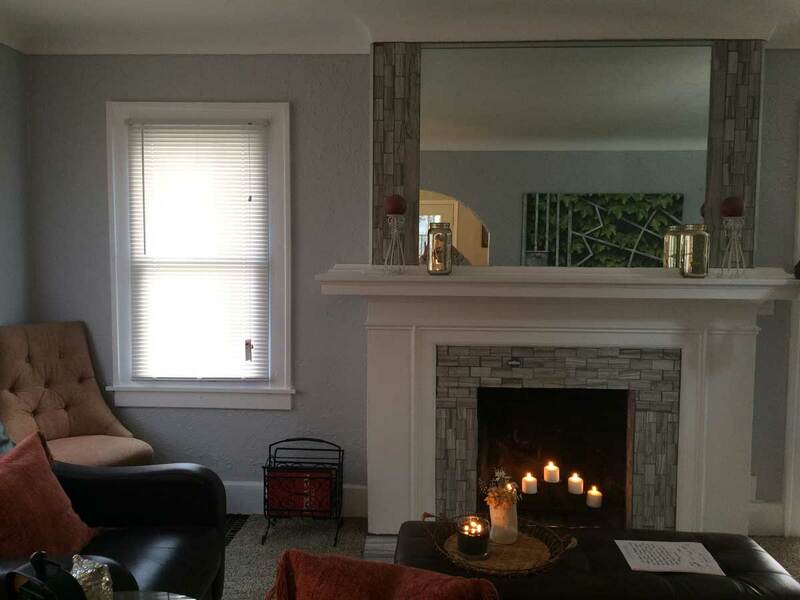 “I never had a bedroom set in all my life,” he said. Also on hand for the turnover — which included Cooke officially being handed the keys — were Dr. Chad Audi, President and CEO of DRMM, and Marc “Rosey” Rosenthal, S.A.Y. Detroit’s director of operations. 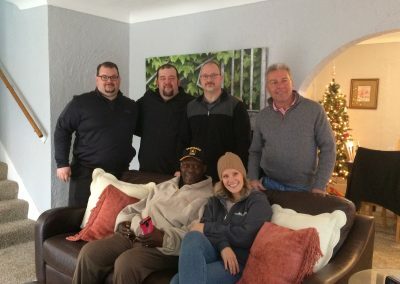 The two other families who were awarded homes from Working Homes/Working Families during Thursday’s Radiothon are scheduled to be in their renovated homes by Christmas. The houses are located in the same Morningside neighborhood as Cooke’s. 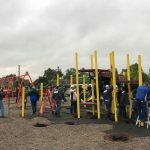 That rebuild is part of a collaborative effort with S.A.Y. Detroit partners the Cooper Standard Foundation and DOW to continue to strength that neighborhood community.